Produktinformationen "TRI-RINGS GLOW IN THE DARK"
Take your intimate pleasure to new heights with the exotic Tri-Rings Glow In The Dark. 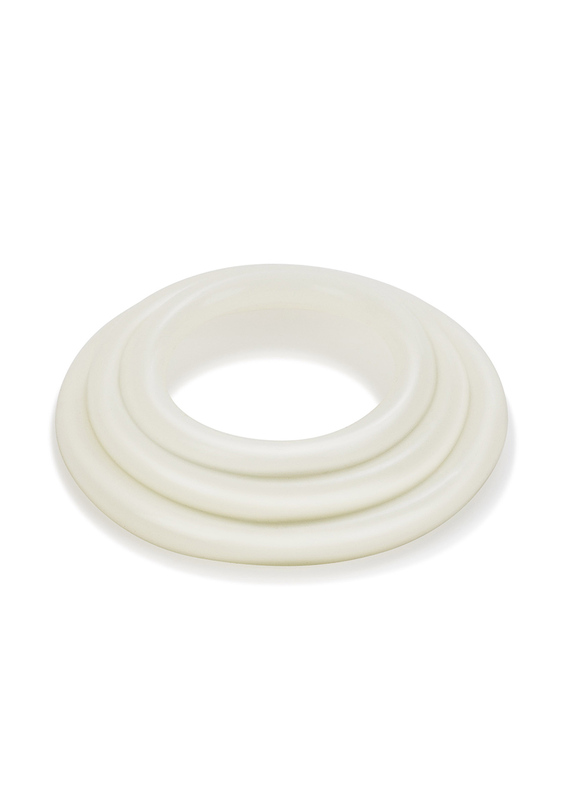 The easy to use erection enhancer rings elevate your arousal and stimulation, for maximized and prolonged satisfaction after lights out. Select your preferred ring dimensions, and super-size your package for an unforgettable tantalizing experience every time. 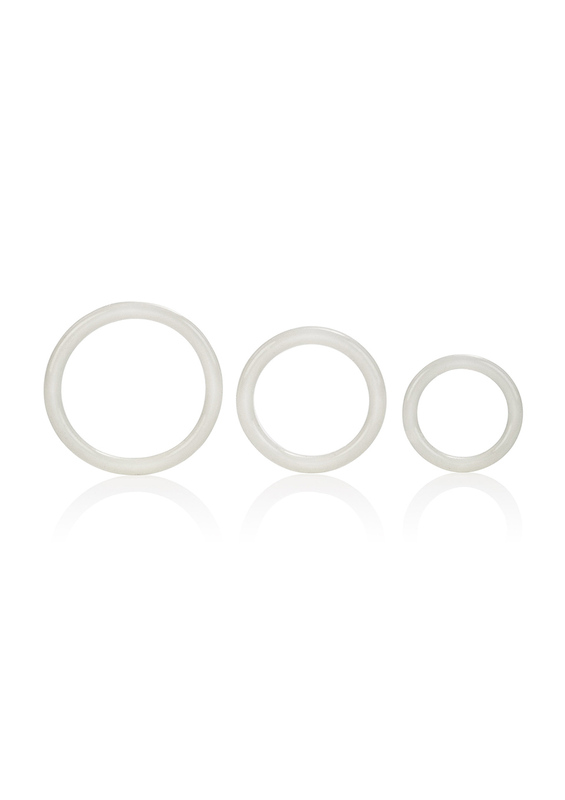 The 3 versatile rings measure 1.25 inch / 3 cm, 1.5 inch / 3.5 cm and a generous 1.75 inch/ 4.5 cm and are easy to fit, comfortable to wear and quick to remove. For indulgent sensual pleasure after dark, slip on your preferred ring and satisfy your intimate desires. For increased sensitivity and mind-blowing sensations, always use a quality lube with this toy. Weiterführende Links zu "TRI-RINGS GLOW IN THE DARK"